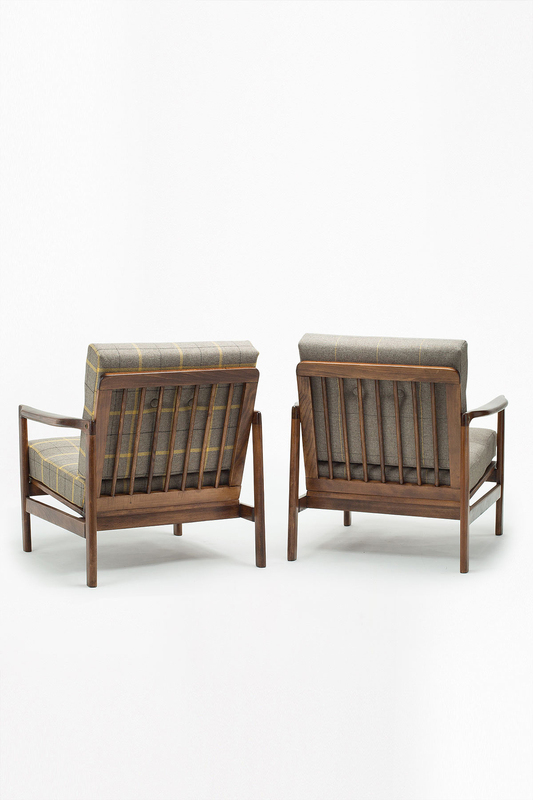 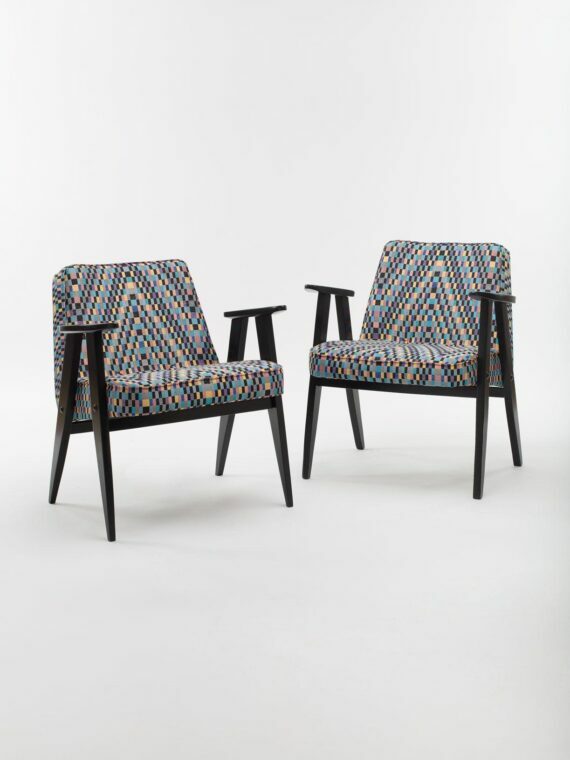 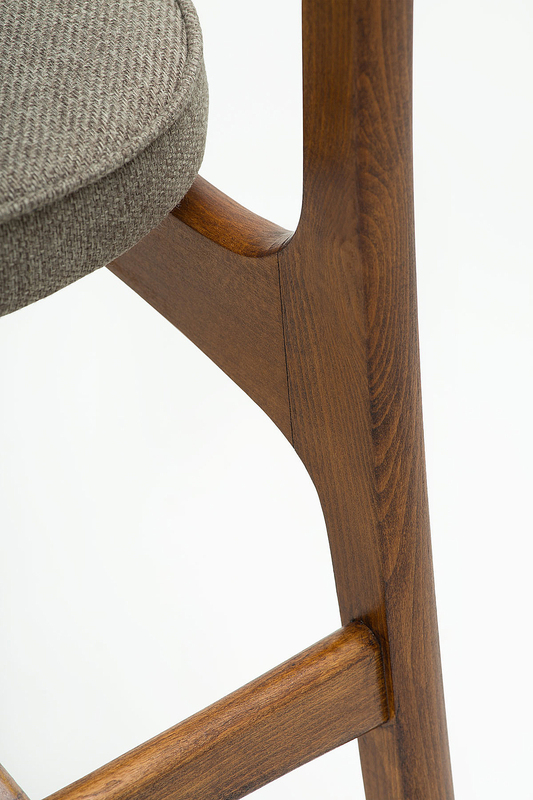 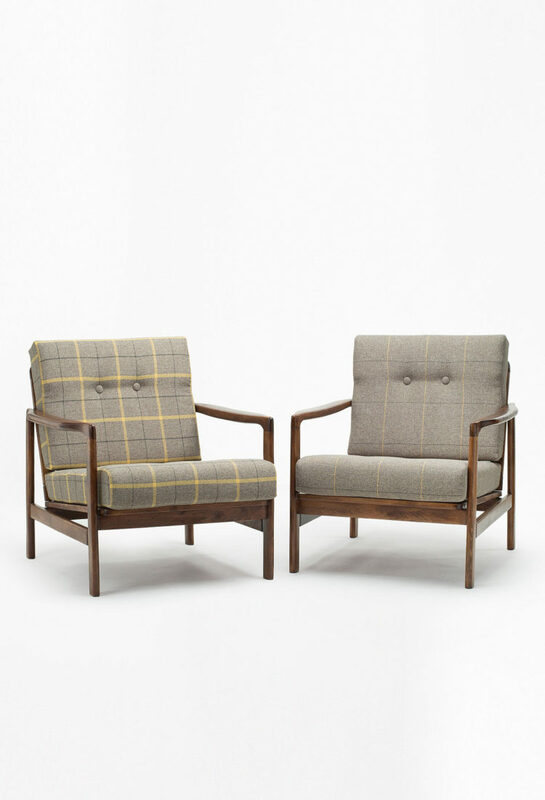 The armchairs were designed by one of the greatest Polish designers of the post-war period – Zenon Bączyk. 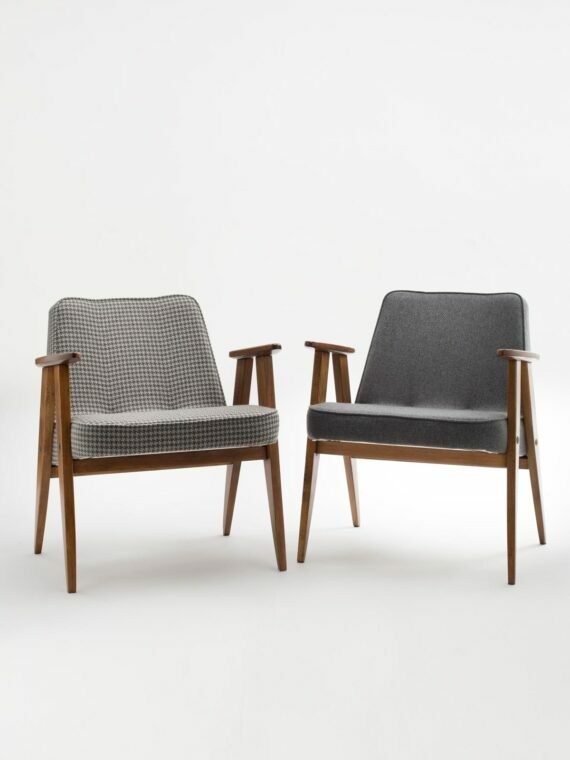 They were produced in the second half of the 1960s by Swarzędz furniture Factory. 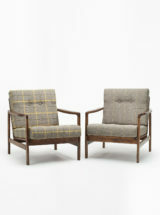 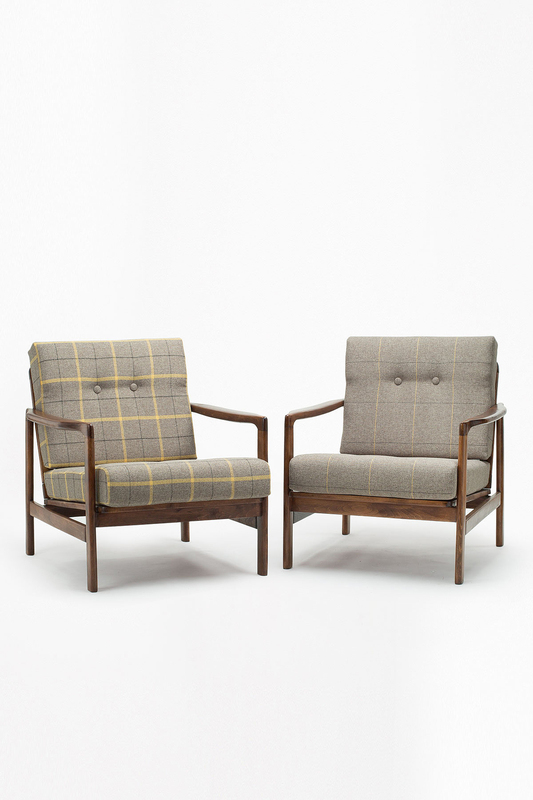 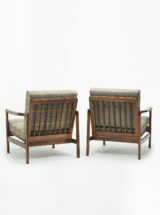 Armchairs with a low, wide structure and excellent proportions style refer to the Scandinavian design. 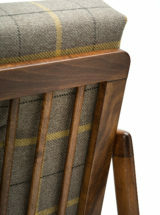 Armchairs undergone professional upholstery and carpentry renovation. 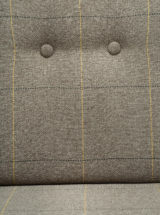 Both sponge filling pads and upholstery belts have been replaced. 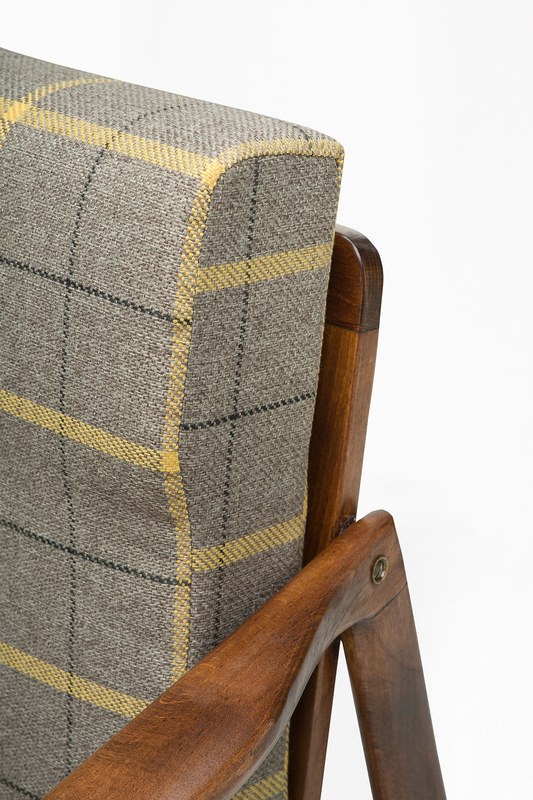 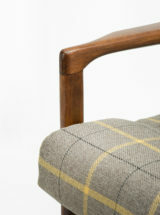 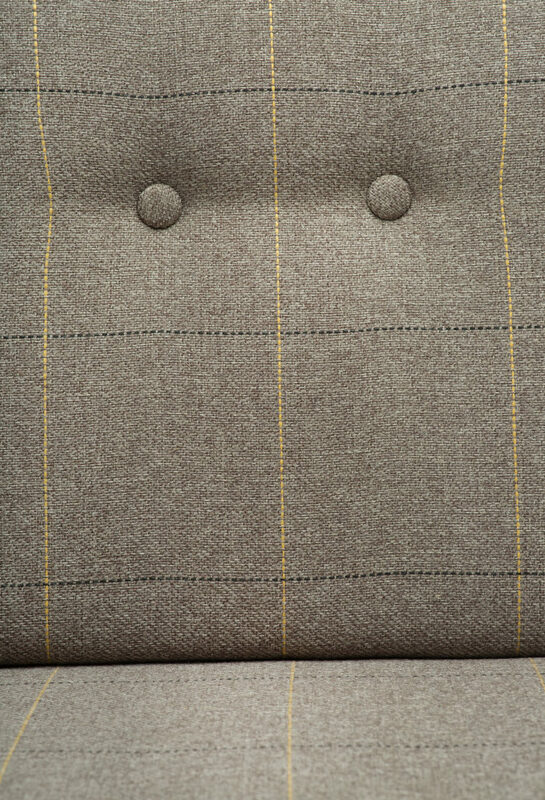 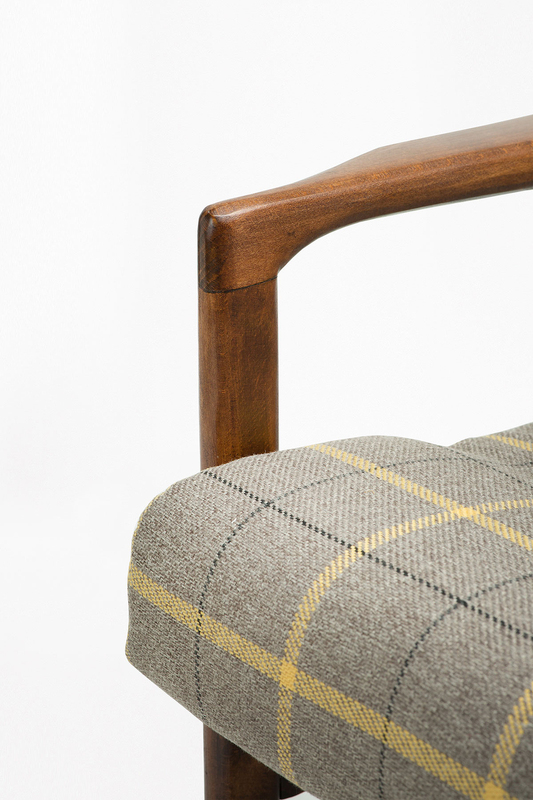 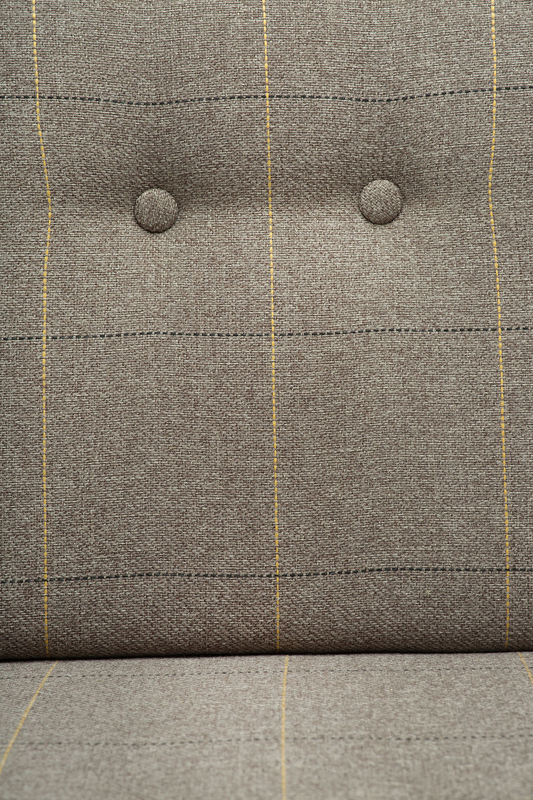 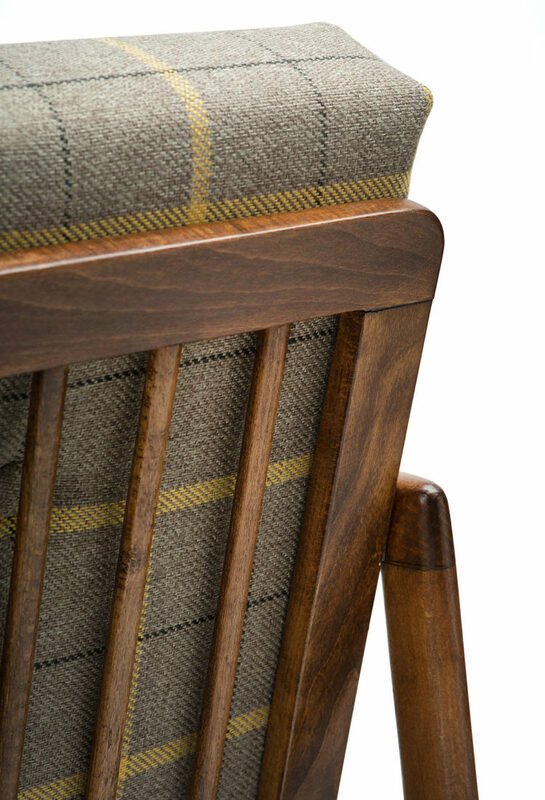 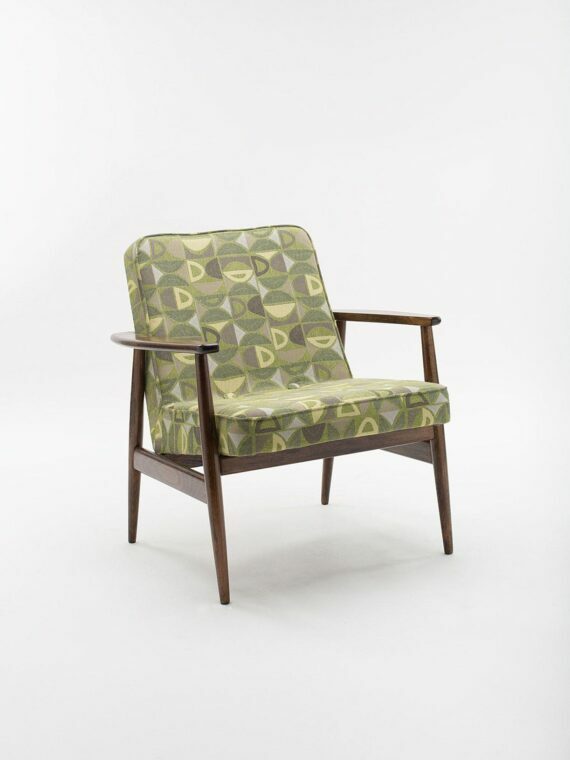 The upholstery was finished with a modern, high-quality fabric. 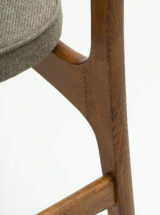 Wooden elements were cleaned from the old coat, re-painted with brown stain and protected with several layers of semi-matt lacquer.